George Ropes, Mount Vernon (1806). Oil on canvas. 94 x 134.6 cm. National Gallery of Art, Washington, D.C. Earlier today, Darkness Falls on the Land of Light was selected as a finalist for the George Washington Prize. I'm thrilled and honored that my book was recognized alongside the publications of an exceptional cohort of early American historians, including Max Edelson (fellow VCEA member), Kevin Hayes, Eric Hinderaker, Jon Kukla (fellow member of the FLEA reading group), James Lewis, Jr., and Jennifer Van Horn (whose innovative material culture study, The Power of Objects, was also published by the Omohundro Institute/University of North Carolina Press). Looking forward to meeting up at Mount Vernon in May! With a nor’easter battering the east coast followed by a brutal cold snap, getting to and around the American Society of Church History/American Historical Association meetings in Washington, D.C., last month was no easy task. For colleagues unable to attend the conference, here’s my response to the insightful reflections on Darkness Falls on the Land of Light presented by Jon Butler, Heather Kopelson, Jon Sensbach, Adrian Weimer, and Molly Worthen (with special thanks to Laurie Maffly-Kipp for stepping in to read Molly’s paper). It’s so great to be here this afternoon. I’m thrilled and honored to have an opportunity to talk about Darkness Falls on the Land of Light. I’d especially like to thank T. J. for putting this roundtable together, to the American Society of Church History for sponsoring this event, and, especially, to Jon Butler, Heather Kopelson, Jon Sensbach, Adrian Weimer, and Molly Worthen for taking time out of their busy academic schedules to read and reflect on my book. Where do we go from here? Jon Butler’s question is an important one, and well worth considering as a group this afternoon. And I should probably start by acknowledging, somewhat sheepishly, that Darkness Falls, as Jon Sensbach has suggested, is a resolutely local study. Or, as I like to think of it: it’s a charmingly old school, throwback book. Many of my models and interpretive frameworks derive from the New Social History scholarship of the 1970s. I’ve tried not to argue beyond the local. This is not a book about the New England origins of the evangelical self. But it’s nonetheless a regional study of a people who, I believe, led spatially circumscribed religious lives. And yet it’s equally clear from the panels and papers at this conference that scholarly interests have moved on in recent decades. Atlantic world, transatlantic, global histories now dominate nearly all areas of historical inquiry—and for good reasons. Just look at the scholars assembled for our roundtable today. Consider Jon Sensbach’s landmark microhistory of Rebecca Protten, an Afro-Moravian woman who flourished in the West Indies and Europe; T.J.’s recent examination of almanacs reframes the study of religion around a critical genre of literature that was immensely popular on both sides of the Atlantic; Heather’s innovative approach to the “puritan Atlantic” and careful study of increasingly racialized religious bodies and their troubled relationship to the body of Christ; Adrian’s deep history of martyrology in Old and New England. To this list we could add the recent works of Emily Conroy-Krutz, Kathryn Gin Lum, Christine Heyrman, Susan Juster, Carla Pestana, Erik Seeman, Mark Valeri, and many others who are contributing to the study of religion within the emerging paradigm of #VastEarlyAmerica. And yet, despite these considerable gains, the field of early American religious history still lacks a definitive history of transatlantic popular religion. There are, as yet, no transatlantic heirs to David Hall’s Worlds of Wonder, Days of Judgment or Jon Butler’s Awash in a Sea of Faith. First, future students of transatlantic popular religion should probably steer clear of measuring religion by volume—either by the loudness of particular religious communities or by the sheer number of surviving sources in a given archive. Jonathan Edwards left behind an incomparable body of publications and manuscripts, but this fact alone doesn’t necessarily lead to the conclusion that he was a more effective or influential pastor than, say, his good friend Ebenezer Parkman, the unassuming minister of Westborough, Massachusetts, who carefully shepherded his congregation during his impressive six-decade pastorate. So when the Whitefieldian revivals came and the people called New Lights began to rail against their unconverted, but godly walking neighbors and ministers, we should recognize such attacks for what they were: a formidable critique of a particular way of being religious, rather than evidence of “getting” religion altogether. The loudness of James Davenport and his considerable lay following doesn’t mean that they were somehow more religious than those whose beliefs, practices, and experiences they so vehemently criticized. To put things bluntly: I sharply disagree with Charles Grandison Finney’s famous claim that “A ‘Revival of Religion’ presupposes a declension.” After all, from a historical numbers standpoint, it’s quite possible that New England’s era of great awakenings produced more Anglican conformists than Whitefieldian new converts between 1740 and 1770. And this way of experiencing scripture—if we can use that phrase—grew increasingly elaborate as the century progressed. Within a decade of the Whitefieldian revivals, people began hearing composite biblical impulses: a string of unrelated verses patched together into a single message. “Them words” occasionally came from the hymns of Isaac Watts; some impulses that triggered the conversions of more radical New Englanders had no biblical referent at all. My third suggestion is this: theology, denominations, and ecclesiastical institutions count too, but the myriad ways in which people arrived at, conformed to, or rebelled against these sources of religious authority are probably more important. Or to restate the point in a somewhat different way, we need to think of the religious lives of lay men and women as becoming rather than being. Instead of defining puritanism or evangelicalism—or Methodism or Anglicanism—and then applying these definitions to one set of texts or another, we should consider routes into and, perhaps, through various religious traditions. This is not to say that formal theology isn’t important. But rather, as Butler and Hall maintained, we need to keep examining the ways in which religious ideas and institutions were embraced, resisted, reinscribed, or reshaped by lay men and women. This way of approaching the study of religion is deeply indebted to concepts such as Hall’s “family strategies”—the logic by which people affiliated with organized religious institutions at specific moments in the life course. It’s also one way to make sense of the pervasive metaphor of religious “travel” that the people I discuss in Part 5 of Darkness Falls used a synonym for experience. Much of my book is devoted to tracing the paths of religious travelers. The godly walkers of Haverhill needed to take only a few relatively short steps to the place where they had always belonged: church membership in the Congregational land of light; but on the other side of the Whitefieldian revivals, the spiritual travels of Nathan Cole or Sarah Prentice lasted for decades and led them to religious worlds unimaginable to their young adult selves. Lastly, I think we should resist the urge to reduce or translate the study of popular religion into other, seemingly more real or important, realms of history. Darkness Falls on the Land of Light is a book about religious experience—about the ways in which lay men and women in eighteenth-century New England learned to experience religion differently and the different, often competing, vocabularies, idioms, and story frameworks they inherited, devised, debated, and improvised to give shape and meaning to their worlds. I embarked on this project with a nagging suspicion that we needed a thicker description of what ordinary people experienced in their religious lives over the course of the long eighteenth century. We know so much about the leading ministers of this period. Consider the sheer number of biographies written over the past half century from Edmund Morgan’s Gentle Puritan to George Marsden’s Jonathan Edwards. And yet only a handful of well documented lay men and women stand for whole: Nathan Cole, Hannah Heaton, and, most recently, Sarah Osborn. And so the book that emerged from my reading of a wide array of understudied manuscript sources eventually evolved into a series of meditations on the languages of experience, of the bible as it was experienced as much as read, of visions and embodied presences of the Holy Spirit, and of the ways these kinds of experiences changed over the long eighteenth century. Only on a secondary level is Darkness Falls a book about the social costs of the changing religious experiences that I associate with the rise of Whitefieldian evangelicalism. Readers interested in learning about gender, or race, or politics may come away from the book dissatisfied. Or they’ll need to take a further interpretive step (and I hope they will) to apply my readings of eighteenth-century popular religion to these and other historiographical agendas. In our conversation today, we should definitely discuss the questions that Adrian Weimer and Jon Sensbach have proposed: what can the category of religious experience tell us about, say, transatlantic print culture or the American Revolution. I thought long and hard about the latter as I wrote, before concluding that I just didn’t have much to say about politics—or, to be more precise, that harnessing my argument to broader social forces would have obscured the broader point of the project. But on another level, we should also think carefully about whether or not these are the questions that need answering, even at this current moment in our politics where the humanities are under siege and, perhaps in response, scholars feel compelled to advocate for the scholarly relevance of their work among a broader reading public. Here, I’m reminded of Robert Orsi’s recent work on what he has provocatively called the “real presence” of the holy. Orsi has challenged scholars to move not merely beyond the category of belief but also beyond the common tendency to translate or reduce religion to symbols, or power, or race, or any number of other, seemingly more “real” forces. For Orsi, the study of religion must engage head-on the often troubling claims of people who believe that the gods (or in the case of my book, Jesus and the Holy Spirit, in particular) are physically present agents in the world—that the gods make history as much as politics, or economics, or social structures. Let me be clear here: I don’t think Darkness Falls comes anywhere near approaching the kind of radical new religious history that Orsi envisions. But getting the experiences of the laity right—or as right as we can—is a necessary first step. And it may well be the missing piece in our rapidly developing historiography of religion in the early modern Atlantic world. Jon Sensbach, Rebecca's Revival: Creating Black Christianity in the Atlantic World (Cambridge, Mass., 2006); T. J. Tomlin, A Divinity for All Persuasions: Almanacs and Early American Religious Life, Religion in America (New York, 2014); Heather Miyano Kopelson, Faithful Bodies: Performing Religion and Race in the Puritan Atlantic, Early American Places (New York, 2016); Adrian Chastain Weimer, Martyrs' Mirror: Persecution and Holiness in Early New England (New York, 2011). Karin Wulf, “For 2016, Appreciating #VastEarlyAmerica,” Uncommon Sense—The Blog, Jaunary 4, 2015, https://blog.oieahc.wm.edamau/for-2016-appreciating-vastearlyamerica/ (accessed February 2, 2018). In addition to David D. Hall’s Worlds of Wonder, Days of Judgment: Popular Religious Belief in Early New England (Cambridge, Mass., 1989); and Jon Butler’s Awash in a Sea of Faith: Christianizing the American People, Studies in Cultural History (Cambridge, Mass., 1990); see Butler, “The Future of American Religious History: Prospectus, Agenda, Transatlantic Problématique,” William and Mary Quarterly, 3d ser., 42 (1985): 167–183 (quotations 177–178); Hall, “On Common Ground: The Coherence of American Puritan Studies,” William and Mary Quarterly, 3d ser., 44 (1987): 193–229; Butler, “Whitefield in America: A Two Hundred Fiftieth Commemoration,” Pennsylvania Magazine of History and Biography 113 (1989): 515–526; Butler, “Historiographical Heresy: Catholicism as a Model for American Religious History,” in Thomas Kselman, ed., Belief in History: Innovative Approaches to European and American Religion (Notre Dame, Ind., 1991), 286–309; Hall, “Narrating Puritanism,” in Harry S. Stout and D. G. Hart, eds., New Directions in American Religious History (New York, 1997), 51–83; Hall, “‘Between the Times’: Popular Religion in Eighteenth-Century British North America,” in Michael V. Kennedy and William G. Shade, eds., The World Turned Upside Down: The State of Eighteenth-Century American Studies at the Beginning of the Twenty-First Century (Bethlehem, Pa., 2001), 142–163; and Hall, ed., Lived Religion in America: Toward a History of Practice (Princeton, N.J., 1997). Douglas L. Winiarski, Darkness Falls on the Land of Light: Experiencing Religious Awakenings in Eighteenth-Century New England (Chapel Hill, N.C., 2017), 79. Charles G. Finney, Lectures on Revival of Religion, 2d ed. (New York, 1835), 9. Leigh Eric Schmidt, Hearing Things: Religion, Illusion, and the American Enlightenment (Cambridge, Mass. : Harvard University Press, 2000), ch. 2. Edmund S. Morgan, The Gentle Puritan: A Life of Ezra Stiles, 1727–1795 (New Haven, Conn., 1962); George Marsden, Jonathan Edwards: A Life (New Haven, Conn., 2003). For a list of similar works, see Winiarski, Darkness Falls on the Land of Light, 372, n. 8. Catherine A. Brekus, Sarah Osborn’s World: The Rise of Evangelical Christianity in Early America (New Haven, Conn., 2013). See, for example, Heather Kopelson’s recent critique of Darkness Falls on the Land of Light in the William and Mary Quarterly (75 : 194–198), in which she reprises her remarks at the ASCH panel. Robert A. Orsi, History and Presence (Cambridge, Mass., 2016), 8. Church admission testimonies, or “relations” as they were called, form the bedrock of my argument in Darkness Falls on the Land of Light. They afford one the best means of gauging broad changes in popular religious experience in early New England. I’m always on the lookout for examples of this distinctive genre of puritan devotional literature. Recently discovered by a researcher at the Congregational Library, the 1757 relation of Lydia Bourk of Boston’s First Church opens up some intriguing research questions. With the spring 2018 semester only a week away, I thought it might be interesting to post some of the syllabi for the courses I teach in the Religious Studies Department and American Studies Program at the University of Richmond: American Gods; Devil in the Details; Occult America; Native American Religions; Witchcraft & Its Interpreters; Cults Communes & Utopias in Early America; and Richmond: City of the Dead. Check 'em out and share your thoughts! Looking forward to a spirited discussion of Darkness Falls on the Land of Light with Jon Butler, Heather Miyano Kopelson, Jon Sensbach, Adrian Weimer, and Molly Worthen at the upcoming winter meeting of the American Society of Church Historians in Washington, D.C. The panel will take place on Friday, January 5, from 3:30–5:00 p.m. in the Foxhall Ballroom of the Dupont Circle Hotel. Many thanks to T.J. Tomlin for organizing and moderating. Hope you'll share this post with interested friends and colleagues. Click here for the full ASCH conference program. Nathan Cole’s wild ride to Middletown, Connecticut, is one of the best-known narratives in early American religious history. A late addition to his “Spiritual Travels” autobiography, Cole’s account of the “angelical” George Whitefield—“Cloathed with authority from the Great God” and preaching from a makeshift stage amid a throng of nearly 4,000—easily ranks among the most detailed descriptions of the celebrated Anglican evangelist’s first American tour. Whitefield’s revolutionary transatlantic ministry later incited bitter controversies, but in 1740 Cole and nearly everyone else in New England portrayed the traveling itinerant in glowing terms—everyone, that is, except John Osborn. His November 17, 1740, letter to his father, Samuel, a former Congregational clergyman, provides a fascinating counterpoint to Cole’s euphoria. Osborn greeted Whitefield with contempt. He believed that Whitefield’s sermon on the dangerous of hell had infected his neighbors with a “contagious” passion. “When one was frighted,” the Middletown physician observed, “another catch’d the fright from his very looks, and others from these till the disease had Spread thro’out; and yet no one knew how he was frightened.” Whitefield’s vaunted oratorical skills amounted to little more than a “heap of confusion Railing, Bombast, Fawning, and Nonsense.” Even the noted early eighteenth-century Quaker preacher, Lydia Norton spoke in public with greater skill and power. Osborn’s caustic letter is an early indicator of the changing tenor of religious discourse in New England, which quickly rose to a boil during the months following the Grant Itinerant’s 1740 preaching tour. 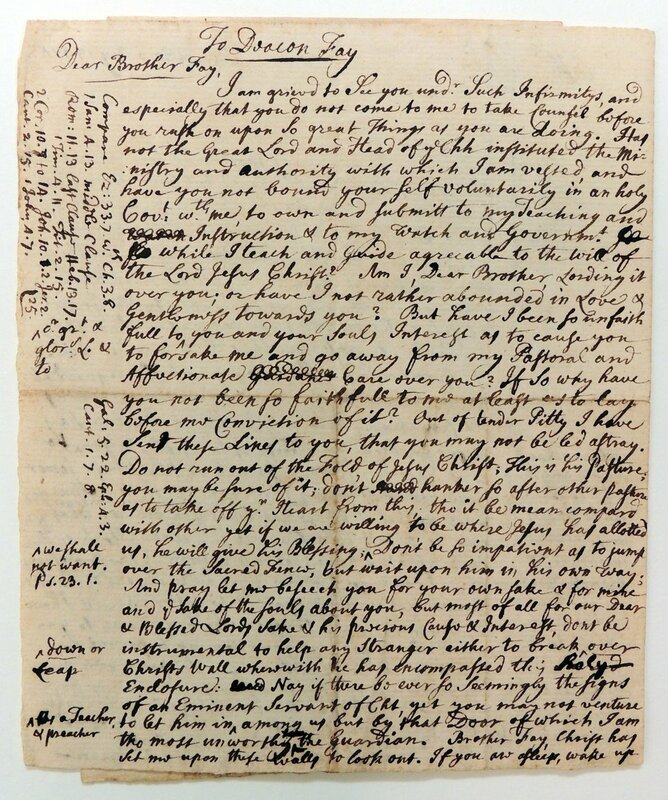 John Osborn’s November 17, 1740, letter to Samuel Osborn may be found among the collections of the Boston Public Library (Ch.A.4.6). The illustrations below appear by permission. Nathan Cole’s account of Whitefield’s preaching in Middletown has been published in numerous early American history anthologies; for the definitive scholarly edition, see Michael J. Crawford, ed., “The Spiritual Travels of Nathan Cole,” William and Mary Quarterly, 3d ser., 33 (1976): 89–126. I discuss both texts in Darkness Falls on the Land of Light, 137–138. For biographical information on John Osborn, see John Langdon Sibley et al., Sibley’s Harvard Graduates: Biographical Sketches of Those Who Attended Harvard College, with Bibliographical and Other Notes, 18 vols. (Cambridge, Mass., 1873–1999), 9:551–554. The Stiles quotations appears in Franklin Bowditch Dexter, ed., Extracts from the Itineraries and Other Miscellanies of Ezra Stiles, D.D., LL.D., 1755–1794 (New Haven, Conn., 1916), 395. J. M. Bumsted sketches Samuel Osborn’s troubled ministerial career in “A Caution to Erring Christians: Ecclesiastical Disorder on Cape Cod, 1717 to 1738,” William and Mary Quarterly, 3d ser., 28 (1971): 413–438. On Lydia Norton, see Rebecca Larson, Daughters of the Light: Quaker Women Preaching and Prophesying in the Colonies and Abroad, 1700–1775 (Chapel Hill, N.C., 2000), 278. I, about fourteen days Since, received yours of October 20th; by which we heard of your health and arrival at Boston. Mr. Doane got home last Saturday leaving his Sloop at Seabrook, the River being froze up. We are, and have been, generally in good health, Since I was at Boston. You desired me in your letter, to explain myself about wishing you to come to Connecticut this Fall; We Shou’d have been glad to See you, but besides Doctor Morison told me he thought he could get a place very easily in one of the inland towns where you might predicare and have a very good opertunity besides, to practice physic; and that he Should be glad to See and talk with you. My hint to John Avery arose from this, a little before he was here, a certain Clergyman of the established Sort told me that if I would go and assist him he would warrant me 40 or 50 pound per annum York money and a pretty good birth for a physician besides, only in assisting him I must precare & predicare, more Anglorum; he lives in a town which borders on the Salt water in York government; and I tho’t that if you liked you might have the Same offer; but I have not Seen the man Since nor heard from him tho’ I expect to every day. The Famous Enthusiast Mr. Whitefield was along here making a great Stir and noise, tother day; tis a pretty amusement to observe how contagious that passion is, Just as their fear was in the meeting house in Boston when So much mischief was done with rushing out; when one was frighted, another catch’d the fright from his very looks, and others from these till the disease had Spread thro’out; and yet no one knew how he was frightened, nor what he was afraid of. I having Seen Several of his printed Sermons before, his discourse came out exactly according to my expectation, a heap of confusion Railing, Bombast, Fawning, and Nonsense. But expecting to See & hear good Oratory, I was basely cheated unless distorted motions, Grimaces, and Squeaking voices be good Oratory. For my part I Esteem Lidia Norton both an abler Orator & Sermonizer than him, and I have Seen her put as great a proportion of her audience in tears; though her pains are taken for far less profit than his. I want to know how Mr. Chauncy, Mather, Hooper, and Condy, affect him; but I believe tis hard to know, the Opinion of the Mob, and the danger of Loss of bread interposing. I wish you had opertunity this winter to read Shaftesbury’s Characteristicks. Mr. Avery or Mr. Kent will help you to them; he was a man less afraid of Speaking truth than allmost any I have been aquainted with. About Money, I want it very much myself Just now, and find it very difficult getting it where tis due to me; but I will do the best I can to pay my debts. I want to Know where Samuel and Joseph are; And whither Mr. Lord at Chatham loves me any better than he used to. Our duty to Mother, and love to all friends. I hope you will be So good as to write very Soon to us, at the Sine of the Lamb or White Horse you may find Connecticut people. Your book of Sermons I have Sent, and Shall be glad of the Greek lexicon if you can Spare it, & Tully’s Orations. I wish you would read the [36th] book of Justins Hystory. Image courtesy of the New England Historic Genealogical Society, Boston. It took nearly two decades of patient archival research to assemble the sources for Darkness Falls on the Land of Light. Thankfully, many of the most significant manuscript texts in the book have appeared online in recent years. More turn up every month. Here’s a wonderful example: the commonplace book of Joshua Bowles (1722–1794). Owned by the New England Historic Genealogical Society in Boston, the Bowles manuscript is included in a recently published collection of fascinating eighteenth-century commonplace books. The aspiring Boston furniture carver was only fifteen when he began inscribing family prayers in"Joshua Bowles his Book Anno 1737." Shortly after Gilbert Tennent arrived in Boston in three years later, Bowles transformed his record of private devotions into a makeshift sermon notebook. Throughout the peak months of the Whitefieldian revivals, Bowles crammed sermon notes onto nearly every open space in the manuscript. He recorded preaching performances by local ministers as well as touring evangelists such as Daniel Rogers, who delivered a powerful sermon on the “sandy foundations” of faith in Boston on July 10, 1741 (see below). Bowles's commonplace book is one of the most important surviving revival chronicles written by a layperson in colonial British North America. And the shift from his carefully ruled and beautifully written family prayers to hastily scribbled sermon notes stands as a powerful visual reminder of the abrupt changes the Great Awakening brought to countless people in eighteenth-century New England. Other notable documents in the New England Historic Genealogical Society's new online collection include the commonplace books of puritan immigrant John Dane, Hampton, New Hampshire, minister Seaborn Cotton, and Baptist clergyman Samuel Maxwell. Published in John Demos's Remarkable Providences, 1600–1760: Readings on Early American History, rev. ed. (Boston, 1991), 60–69, Dane’s autobiographical "Declaration of Remarkabell Prouendenses in the Corse of My Lyfe" is an outstanding teaching text. For an excellent analysis of this narrative, see Michael P. Winship's "Encountering Providence in the Seventeenth Century: The Experiences of a Yeoman and a Minister," Essex Institute Historical Collections 126 (1990): 27–36. Cotton filled his commonplace book with poetry, theological notes, genealogical information, and church records (including the relation of John Clifford, Jr., on page 37). The Maxwell manuscript includes an unusual reference to a prayer bill written on behalf of the unconverted during the Whitefieldian revivals (see my "Newbury Prayer Bill Hoax" essay, pages 72–73). I discuss the Bowles manuscript in Darkness Falls on the Land of Light, 153–154. In the months to come, I’ll be working to keep readers of The People Called New Lights Blog updated on exciting new collections like this one. And I’d love to hear from you. If you discover any Digital New Lights who have made their way online, contact me at dwiniars@richmond.edu! Darkness Falls on the Land of Light recently was named co-winner of the Book of the Year award by the Jonathan Edward Center at Trinity Evangelical Divinity School. I'm deeply grateful to the editors of Edwardseana for this wonderful accolade! For a review of the book and an interview in which I share some thoughts on the current state of scholarship on Jonathan Edwards and the Whitefieldian revivals, click the button below. A strong endorsement of Darkness Falls on the Land of Light by a leading historian of early American evangelicalism. I discovered this interesting group eighteenth-century religious manuscripts shortly after Darkness Falls on the Land of Light went to press. They are excellent examples of what New England Congregationalists called prayer bills or prayer notes—small slips of paper bearing prayers to be read by ministers during Sabbath worship exercises. Unlike the few surviving prayer bills, nearly all of which are scattered among the papers of prominent clergymen such as Cotton Mather or Jonathan Edwards, this collection remained in the family of the prosperous Boston and Cambridge merchant, Thomas Fayerweather, and were passed down to his posterity along with his voluminous business correspondence and account books. As with most prayer bills, the Fayerweather notes fall into one of two major classes. The Boston merchant composed petitionary prayers beseeching God for protection and healing in the face of impending life crises, such as his wife’s pregnancies or the illnesses of family members. During the ensuing weeks, Fayerweather penned prayers of thanksgiving or sanctification in which he sought to demonstrate his family’s resignation to the will of God. The form of each prayer request, moreover, closely followed the standard conventions of the genre, which remained relatively unchanged from the late seventeenth century through the early 1800s. That Fayerweather preserved these ephemeral manuscripts suggests that he may have envisioned the notes as a record of God’s dealings with his family in much the same way that puritan diarists often used their devotional journals to mark remarkable or providential events in their lives. Robert Feke, Thomas Fayerweather (1724–1805), ca. 1740–1760, Accession Number 1993.141.1, Historic New England. Bequest of Miss Eleanor Fayerweather. Baptized as an infant in Boston’s Old South Church, Thomas Fayerweather (1724–1805) was raised in one of New England's wealthiest families. At a young age, he learned the merchant’s trade from his father and spent several years with relatives in Philadelphia and Maryland. Returning to Boston, Thomas married Sarah Hubbard (1730–1804), daughter of the treasurer of Harvard College, in 1754; they had four children between 1757 and 1769. Over time, Fayerweather expanded his business enterprises, trading a wide range of foodstuffs, commodities, and enslaved Africans from Maritime Canada to the West Indies, New York to London, and in ports in Central America, Africa, and Eastern Europe. It is not clear whether Thomas or Sarah ever affiliated with the Old South Church, although they presented their children for baptism in a regular order at the venerable Boston meetinghouse. (His older brother Samuel, by contrast, joined in full communion at the peak of the Whitefieldian revivals in 1741, after he experienced a wrenching conversion and was beset by dramatic visions of Satan.) In later years, Fayerweather moved his family to an impressive mansion on “Tory Row” in Cambridge, Massachusetts. As with many of the “Genteel Folks” of the Revolutionary era, as the future president John Adams described Fayerweather’s elite social circle, he purchased pews in both the local Congregational meetinghouse and the Episcopal church. 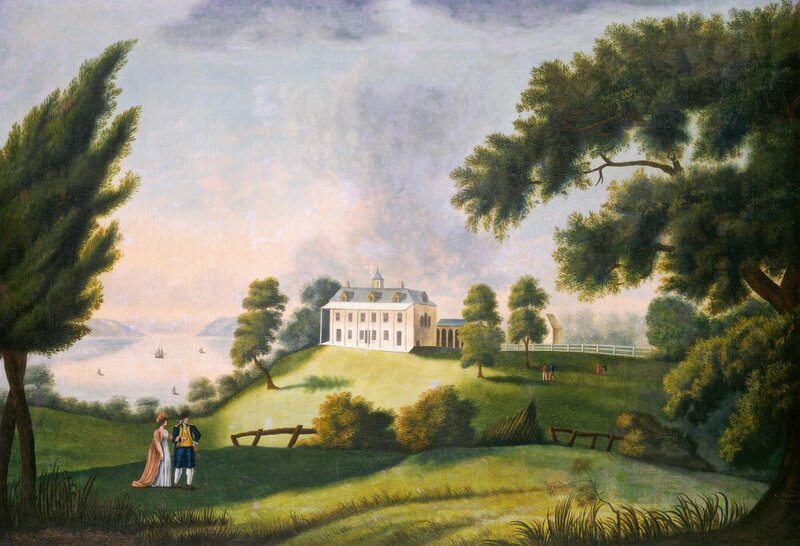 At the time of his death in 1805, Fayerweather’s estate was valued at more than 64,000 dollars. Robert Feke, Sarah Hubbard Fayerweather (1730–1804), ca. 1740–1760, Accession Number 1993.141.2, Historic New England. Estate of Eleanor Fayerweather. The seven prayer bill manuscripts presented below are part of the Thomas Fayerweather Papers, 1737–1818 (Mss 80) at the New England Historic Genealogical Society in Boston and are reproduced here by permission. I have organized them in chronological order based on the birth and baptismal dates of Fayerweather’s children and the deaths of Sarah Fayerweather’s sister, Thankful, wife of Boston physician Thomas Leonard (d. December 2, 1772), her father, Thomas Hubbard (d. July 14, 1773), and her mother, Mary Jackson Hubbard (d. February 15, 1774). 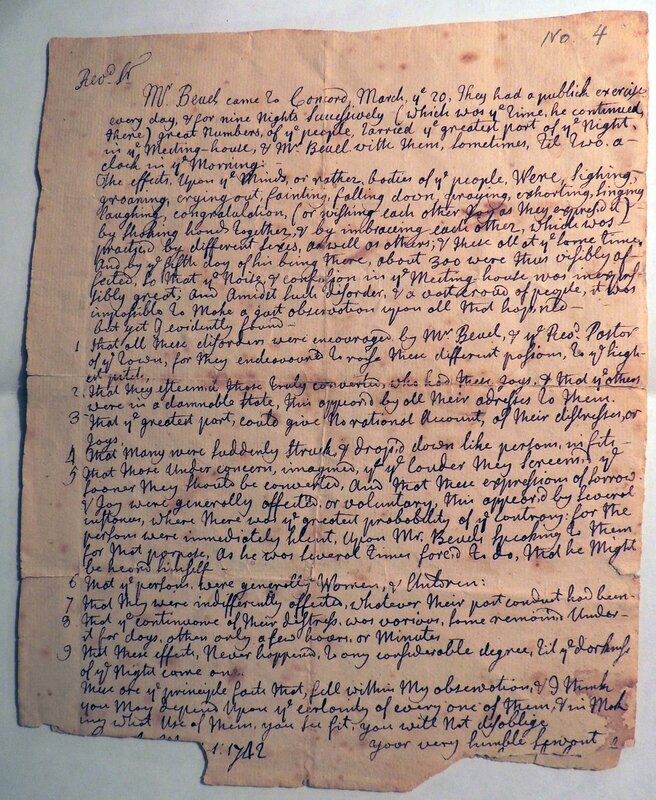 Written on the back of a list financial transactions with business contacts in central Massachusetts, the sixth document includes copies of prayer requests that Fayerweather submitted to the ministers of the Old South Church. I discuss prayer bills at greater length in “The Newbury Prayer Bill Hoax: Devotion & Deception in New England’s Era of Great Awakenings.” Massachusetts Historical Review 14 (2012): 53–86; and Darkness Falls on the Land of Light, 67–69 (see also 204–205, 452–454, and 563–565 for the spiritual odyssey of Fayerweather’s radical New Light brother). For edited transcriptions of the largest surviving collection of eighteenth-century prayer notes, see Stephen J. Stein, “‘For Their Spiritual Good’: The Northampton, Massachusetts, Prayer Bids of the 1730s and 1740s,” William and Mary Quarterly, 3d ser., 37 (1980): 261–285. On the broader religious culture of Boston’s eighteenth-century merchant community, see Mark Valeri, Heavenly Merchandize: How Religion Shaped Commerce in Puritan America (Princeton, N.J., 2010). For genealogical information on the Fayerweather family, see John B. Carney, “In Search of Fayerweather: The Fayerweather Family of Boston,” New England Historic Genealogical Register 145 (1991): 57–66; and Harlan Page Hubbard, One Thousand Years of Hubbard History, 866–1895 (New York, 1895), 92–94. A number of Fayerweather family artifacts, including the portraits by Robert Feke displayed below, may be viewed in the online collections of Historic New England. Courtesy New England Historic Genealogical Society. Thomas Fayerweather & wife returns thanks to God for his great goodness in raising her from the perils of child birth & giving her an opportunity to wait on him in his house Again. Thomas Fayerweather & wife desires prayers, that the dispensation of Gods Providence, in the Death of her Only Sister, may be sanctified to them. Thomas Fayerweather & Wife, desires prayers for her Father, very week & low, that God would be pleas’d to Bless the means, us’d for his Recovery, or fit & prepair him, & all concern’d, for his Will & pleasure. Thomas Fayerweather & Wife desires prayers that the Dispensation of Gods Providence in the Death of her Father may be sanctified to them & to their Children. Thomas Fayerweather & Wife desires your prayers for her Mother; very week & low that God would be pleased to Bless the means us’d for her Recovery or fit & prepair her & all concerned for his Will & pleasure. Thomas Fayerweather & wife desires the continuance of your prayers for her Mother Apprehended drawing near her great change that God would be pleased to fit & prepair her & all concern’d for his Soveraign Will. NB. The note wrote by Madm. G. as follows not sent. Mary Hubbard remaining very week and low desires Continuance of your Prayers for her, that God would support her and prepare for his Holy Will and pleasure. (pray’d to God to support them, & comfort them in their afflictions. Thomas Fayerweather & Wife desires prayers, that the Dispensation of God’s Providence, in the Death of her mother may be sanctified to them, & to their Children. Many thanks to John Fea for inviting me to contribute to the "Author's Corner" feature on his popular blog, The Way of Improvement Leads Home! Through the generous support of the Virginia Foundation for the Humanities and the University of Richmond, I spent the spring 2017 semester as a residential fellow at the Library of Virginia. Here's a sneak peak at what I discovered in my new research: a court case from Rockbridge County, Virginia, involving the jerks, a controversial new bodily practice that developed among Scots-Irish Presbyterian new lights during the frontier revivals of the Second Great Awakening. Many thanks to John Deal for inviting me to contribute to the Library's "Out of the Box" blog! A Divinity for All Persuasions (New York: Oxford University Press, 2014), by University of Northern Colorado historian T.J. Tomlin, provides a powerful new analysis of early American religious culture through the understudied but ubiquitous genre of almanacs. I recently was invited to review this important book for the William & Mary Quarterly. 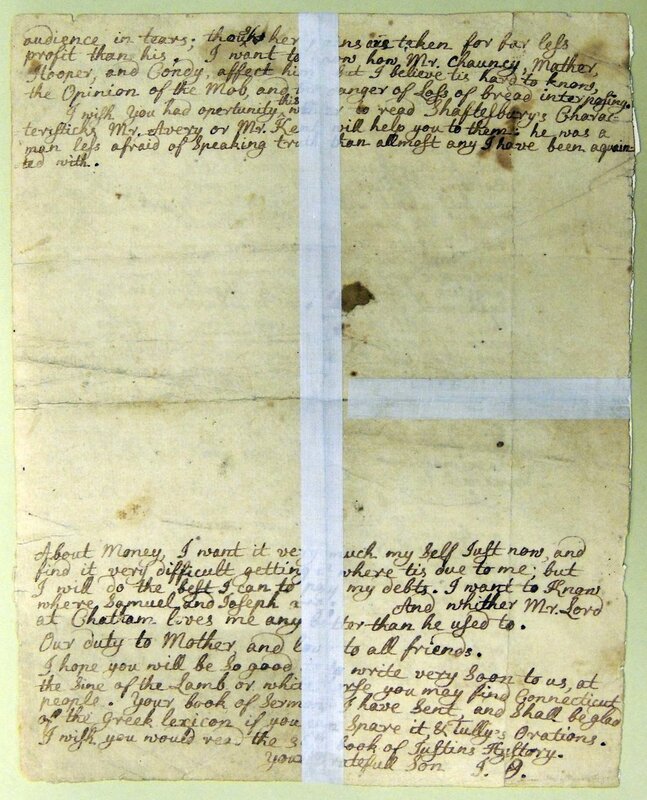 One of the most intriguing manuscripts I discovered while working on Darkness Falls on the Land of Light is the text that appears below: a courtship letter sent by Isaac Garfield (1717–1792), an early settler of Tyringham, Massachusetts, to his future wife, Mary Brewer (1722–1799). Written in a shaky and unschooled hand during the peak months of the Whitefieldian revivals and suffused with biblical allusions, Garfield’s missive included no professions of affection or amorous allusions. Unlike many young men in eighteenth-century New England, he made no effort to impress his beloved with his reading knowledge or literary wit. Instead, Garfield sternly exhorted Brewer to search her soul for evidence of conversion. It’s a compelling example of the many small ways in which the revivals transformed the writing practices of eighteenth-century New Englanders. 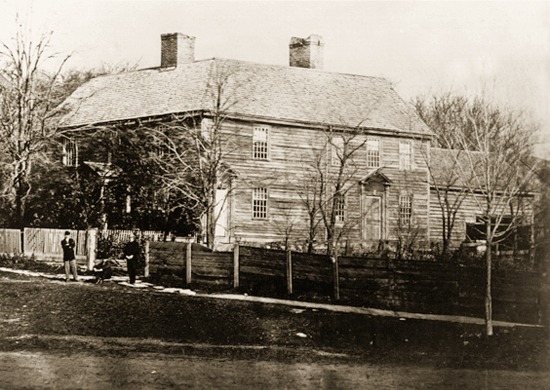 Garfield and Brewer married several months later and soon emerged as leading townspeople and prominent members of the Tyringham Congregational church. They had eleven children between 1743 and 1765. Both spouses are buried Woods Cemetery in Monterey, Massachusetts. Garfield’s courtship letter is part of the Blandina Diedrich Collection, volume 1, in the William L. Clements Library at the University of Michigan, Ann Arbor. My transcription follows the expanded method described in Mary-Jo Kline in A Guide to Documentary Editing, 2d ed. (Baltimore, 1998), 157–158, 161–164. I have enclosed conjectural readings of the damaged portions of the manuscript and glosses of grossly misspelled within square brackets. For genealogical information on Garfield and Brewer, see Henry Bond, Genealogies of the Families and Descendants of the Early Settlers of Watertown, Massachusetts, including Waltham and Weston (Boston, 1860), 230; Town of Weston: Births, Deaths and Marriages, 1707–1856. 1703—Gravestones—1900. Church Records, 1709–1825 (Boston, 1901), 15; Vital Records of Tyringham, Massachusetts to the Year 1850 (Boston, 1903), 30, 96; History of the Congregational Society in Monterey, Mass., 1750–1900 (Monterey, Mass., 1900), 54; and Eloise Myers, A Hinterland Settlement: Tyringham, Massachusetts, and Bordering Lands (Pittsfield, Mass., n.d.), 6, 21, 24–25, 36, 40. I discuss the Garfield letter in Darkness Falls on the Land of Light, 193. Madam I take this opertunit[ie to write] to you hopeing you are as wall as I am att prasent for [which I] have grate caise of thankfullness and now I would call a upon [you to re]pant and Seek an Entrist in Christ before it be to late. Before I wass Concerned for my Soul I was not conscarned for your soul. But now when I consider my wicked life: O how many air [are] my Sins. They mak me to Cry out O lord my flesh trambles and I am afraid of thy Judgments. I have Case to feair Continually least the lord Should Say of me as of the barron fig tree Cut it down why Cumbereth it the grown. O let me coll upon you to Seek an Entris in Christ. Seek now in a finding time. Now the Spirit of god Seems to be Striving with yong people. Wee have ben asleep but our damnation Slumbreth not. O let us awake out of a ded Sleep of sin. O Let us Return as the poor prodigall did for we have bin Sarving a hard master. We have bin feeding on husks and are rady [to] perrish. O fearfull Estate for us to live only to heep up fuel for our own Everlasting burning even treasuring of wrath for the last day. Shall this be our cais and we not tremble. O that my Eyes wair water and my hed a founting of tears, that I migt weep day and night for my sins. Seek ye the Lord whil he may be found and call upon him while he is near. Begin now to do what in you lies to Regain the tim by double diligence in the matter of your grate Concarn: Least the voice of the archangel Should finish your time of triel and Call you to Judgment before you air prepaired. What time lies before you for this dubel improvement god only knows. The number of your days air with him and every evening the num[ber] is deminished. Let not the rising Sun upbrade with Continued neglience. Remember your former abouce [abundance] of ours and days munths and years in foly and [sin]. Let these of your past Conduct lie with an afectual wate on your hart and mind So as to keep you Ever vigerous in the present duties Sence you have bin so long and loitering in the mater of your Salvation in time past. Take large staps daly. Stracth [Stretch] all the powers of your soul to hasen towards the Crown and the prise. Harken to the voice of god in his word with Strong atinshon [attention] and pray to a long sufering god with dubel fervency. Cry aloude and give him no rest till your Sinfull Soul is Changed into penitence and renued to holiness and till you have Som good Evidence of your Sencear love to god and unfaned faith in his Sun Jesus Christ never to be Satisfied till you air Come to a wall grounded hope through grace that god is frind and reconsiled father that when days and muths and years Shall be no mor you may Enter into Everlasting Light and pece with god of his infinit marcy grant throw Jesus Christ our Lord [amen]. A thoughtful commentary on my book and recent scholarly debates over the definition of evangelicalism by George Mason University scholar John Turner. For an excellent related discussion published shortly after Darkness Falls on the Land of Light went to press, see Linford D. Fisher, “Evangelicals and Unevangelicals: The Contested History of a Word, 1500–1950,” Religion and American Culture: A Journal of Interpretation 26 (2016): 184–226. An early review of Darkness Falls on the Land of Light by Douglas Sweeney, director of the Jonathan Edwards Center at Trinity Evangelical Divinity School.